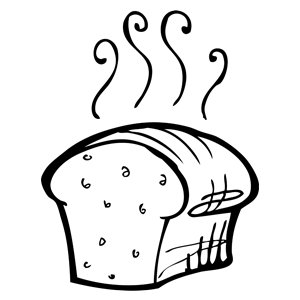 Have liquid ingredients at 80°F, unless otherwise specified by your bread machine manual, and all others at room temperature. Place ingredients in pan in the order listed. 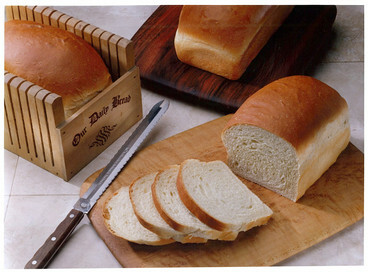 Select Basic or White Bread cycle and medium/normal crust. Do not use the delay timer. See our Bread Machine section for more helpful tips and information. To braid: Select Dough / Manual cycle. When cycle is complete, take out dough and follow Rising, Shaping and Baking instructions below - skipping the first Rising instructions, and start with 'Turn dough onto lightly floured surface'. Use ingredient amounts for Medium-sized loaf. Combine yeast, 1 cup flour, and other dry ingredients. Heat water, milk and butter to 120° to 130°F. Butter does not need to melt. Hand-Held Mixer Method - Combine dry mixture and warmed liquids in mixing bowl on low speed. Beat 2 to 3 minutes on medium speed. Add egg; beat 1 minute. By hand, stir in enough remaining flour to make a firm dough. Knead on floured surface 5 to 7 minutes or until smooth and elastic. Use additional flour if necessary. Stand Mixer Method - Combine dry mixture and warmed liquids in mixing bowl with paddle or beaters for 4 minutes on medium speed. Add egg; beat 1 minute. Gradually add remaining flour and knead with dough hook(s) 5 to 7 minutes until smooth and elastic. Have all ingredients at room temperature. Put dry mixture in processing bowl with steel blade. While motor is running, add egg, butter, water and milk. Process until mixed. Continue processing, adding remaining flour until dough forms a ball. Place dough in lightly oiled bowl and turn to grease top. Cover; let rise until dough tests ripe. Turn dough onto lightly floured surface; punch down to remove air bubbles. To Braid: Divide into 3 equal sections. Roll each section to form a rope about 1-inch in diameter. On greased cookie sheet, braid ropes, tucking under ends to seal. Cover; let rise in warm place until indentation remains after touching, about 40 minutes. Wash: Mix 1 egg with 1 tablespoon water; brush on risen dough. Sprinkle with sesame or poppy seed, if desired. Bake at 375°F for 30 to 35 minutes. Remove from cookie sheet; cool on rack. Wow. This bread was so tender and delicious and flavorful! I made my loaf with Almond Milk and it was just perfect.